The HGTV video below shows how the two products work. In the video, they are using a dark wood protector, but ours is natural. The products are designed to make this a one day project. Our deck is about 12 years old. As you can see, it’s showing major signs of weathering and water damage. I am looking forward to seeing if the cleaner removes the rings left from some of our flower pots. We also have several sections that are green from algae. 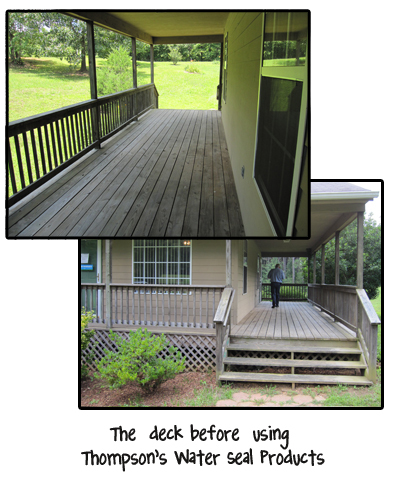 We hope to have the deck done sometime within the next two weeks check back soon for an update on the results!